Belgium’s UNIT-E charging network has added 25 rapid chargers along key routes spanning between the French and Dutch borders, enabling easier long-distance travel for electric vehicles. 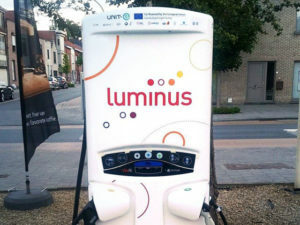 The Belgium phase of the project was led by energy supplier EDF Luminus and says the 25 Tritium Veefil-RT 50kW charge points are positioned along the Belgian motorway system, linking the country’s major cities. The tri-standard charge points can recharge two vehicles simultaneously and support the vast majority of EVs on sale today.